On-demand ride-sharing services such as Lyft and Uber can be a godsend for Solo Moms, who sometimes need help getting from point A to point B in a hurry or live in places where traditional taxicabs are not plentiful. And the options may be expanding: Recently, ex-Uber driver Michael Pelletz announced plans to launch a new ride-sharing service named SafeHer. 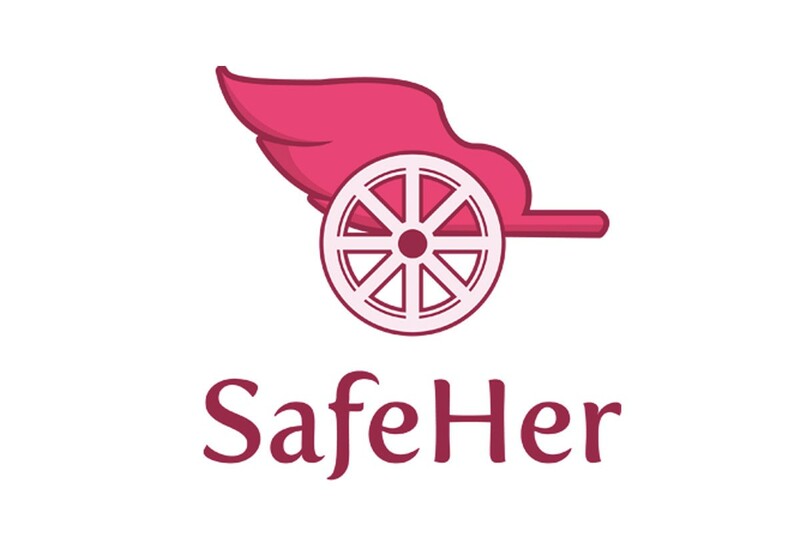 SafeHer (formerly known as Chariot for Women) promises to take a “by women, for women” approach by hiring all-female drivers who will exclusively drive women and children under the age of 13. In doing so, SafeHer seeks to address a concern about safety and harassment against women that has dogged ride-sharing services. Ride-sharing companies, Uber in particular, have come to symbolize the growth of the so-called sharing economy. Their premise is simple: when you need a ride somewhere, you simply pull out your smartphone and use an app to order a ride, and a driver nearby picks you up and takes you to your destination. With a ride-sharing service, the app on your phone becomes an incredibly efficient workhorse, storing all your payment information so that you don’t need to pay the driver when your ride is done; informing the driver of your location; and sharing information about your drivers with other passengers, including data about fares and arrival times. Typically, drivers arrive fairly quickly, even to remote locations, because Lyft and Uber rely on a large fleet of everyday people who use their personal cars to pick up others needing rides. Ride-sharing services bring efficiency and speed to the process. Drivers turn their spare time and their cars into revenue-generating opportunities. Riders are spared having to call a taxicab company and work through a dispatcher to sort out their ride and wait time. But the popularity of ride-sharing services has also shed light on some serious problems women face as passengers and drivers. Uber, in particular, has come under fire for hiring drivers who have been accused of assaulting and harassing women. And as the public-awareness campaign Who’s Driving You? shows on its website, Lyft has also been the subject of ongoing complaints about assault and harassment. These incidents have raised several questions about how well Lyft and Uber vet their drivers. The resulting scrutiny also has raised awareness more generally of the dangers women face when they share rides with complete strangers, either as passengers or as drivers, and the potential risks inherent in any professional service, whether a traditional taxicab or a ride-sharing company. Enter Pelletz, a Boston-area resident who was an Uber driver for nine months. As Pelletz related to Quartz, the SafeHer concept was born one night in February 2016 when he picked up a man who was “incoherently babbling” and seemed to be on the verge of a drug overdose. Alarmed, Pelletz contacted the police for help. Although he successfully extricated himself from the uncomfortable encounter, the incident made him wonder whether a woman driver would have been as fortunate. He decided it was time to figure out a safer approach. As he told Quartz, “I started this company just because I was afraid for the safety of my children and my wife.” Within several weeks, he and his wife, Kelly (SafeHer’s president), began finding investors, recruiting drivers, and setting up the infrastructure necessary to create a business. Almost immediately, SafeHer, then known as Chariot for Women, inspired a dizzying amount of PR, including articles in the Guardian and USA Today. SafeHer has clearly struck a chord, and the service isn’t even off the ground yet. SafeHer will work like other ride-sharing services do by providing an app that will be the hub for ride giving and ride hailing. As reported in USA Today, Pelletz promises that SafeHer will apply the most stringent background checks of any service and fingerprint every driver. According to TechCrunch, the service will add another layer of safety, as follows: when a passenger orders a ride, both the driver and passenger will receive a special code. When the driver arrives, both passenger and driver will ensure the code matches before the passenger gets into the car. Male riders automatically will be denied unless they are younger than 13. Moreover, SafeHer will donate 2% of its fares to charity and will not use “surge pricing,” a feature in which a ride-sharing service increases fares during peak ordering times (which should be especially helpful for Solo Moms living on a budget). Pelletz has not identified a precise launch date (Teen Vogue reported a launch date of this fall), noting that SafeHer will require adequate time to sign up drivers. And because SafeHer excludes men, the business also faces criticism and potential opposition from a legal standpoint. Meanwhile, you can learn more about SafeHer and track its path to launch on its website, which shares a powerful mission: Safety first. For women. By women. What do you think of SafeHer? Would you use the service? Why, or why not?